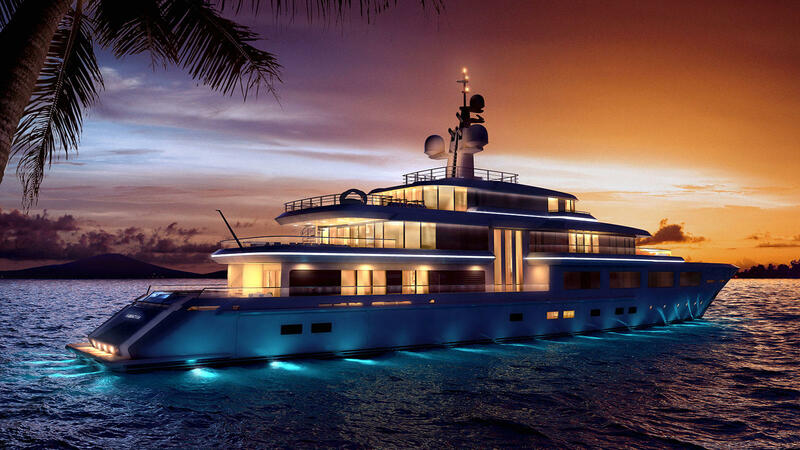 Construction of a new 74 metre superyacht is underway at Turquoise Yachts. The exterior design by H2 Yacht Design pays homage to their previous collaboration with Turquoise – Talisman C – seen in Project Barracuda's masculine and timeless lines. The superyacht also features an innovative interior layout similar to the 74 metre Turquoise superyacht Vicky.The interior, penned by Ken Freivokh, is practical yet elegant with an emphasis on enjoying the sea. Some of the interior highlights include a saloon-dining room that opens to the aft terrace and a dedicated on board cinema. Project Barracuda also boasts a full beam sky lounge and bar, a beach club, steam room, massage room and indoor-outdoor gym. 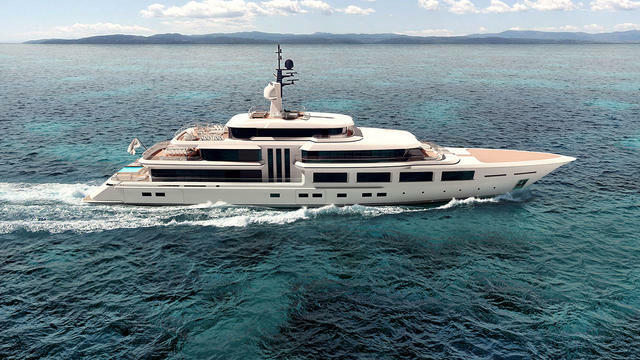 The 74 metre superyacht has been crafted with a focus on integrating the decks. To this end, a triple height atrium has been designed to circulate guests between all decks with an elegant spiral staircase. Project Barracuda will accommodate 16 guests in one owner’s suite, two VIP suites and four guest cabins. There’s space for 18 crew in one captain’s cabin, six double crew cabins, four single crew cabins and one crew/office convertible room.